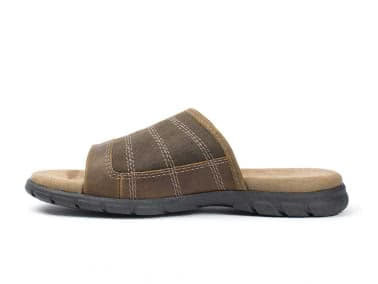 Slide into the comfort of this slip-on sandal. 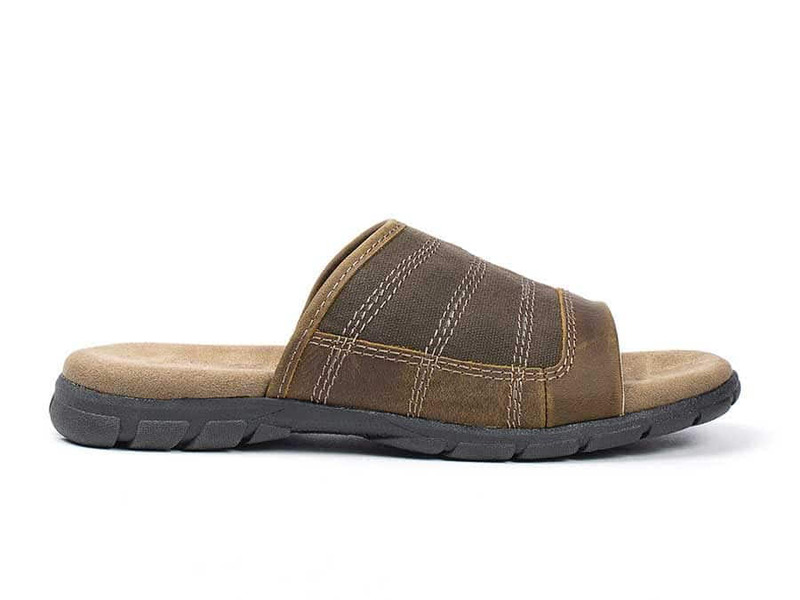 The Calderon slide uses soft canvas, framed in matching supple leather, to create a look that is as casually cool as it is comfortable. 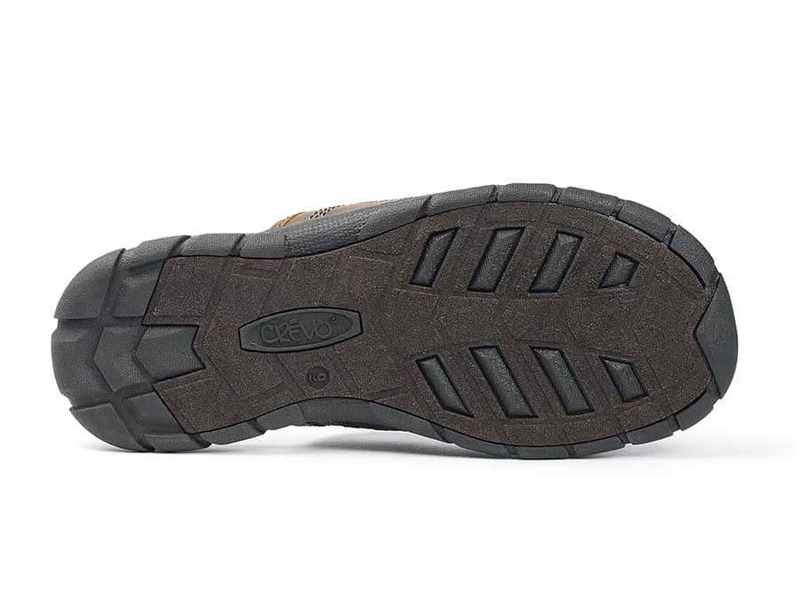 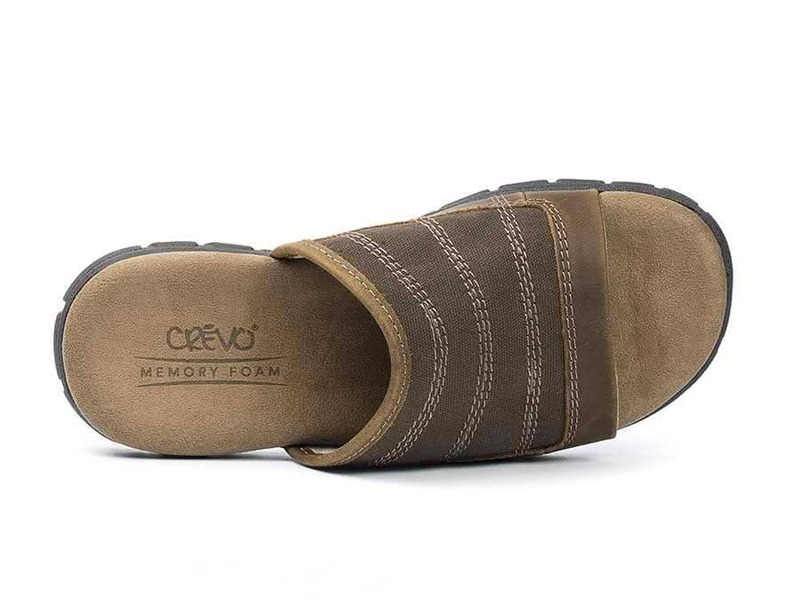 The footbed features memory foam, while the rubber bottom offers traction and flexibility to allow for all day comfort. 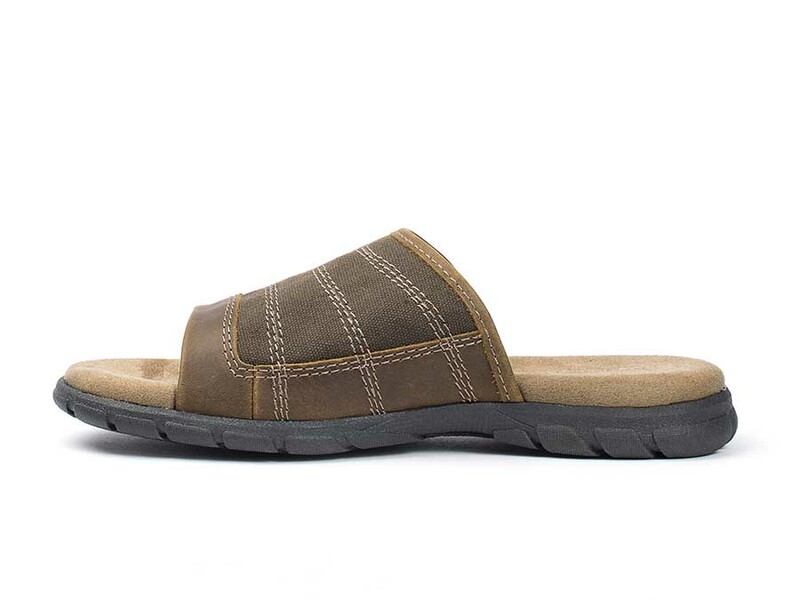 It's the perfect addition to your warm weather wardrobe.